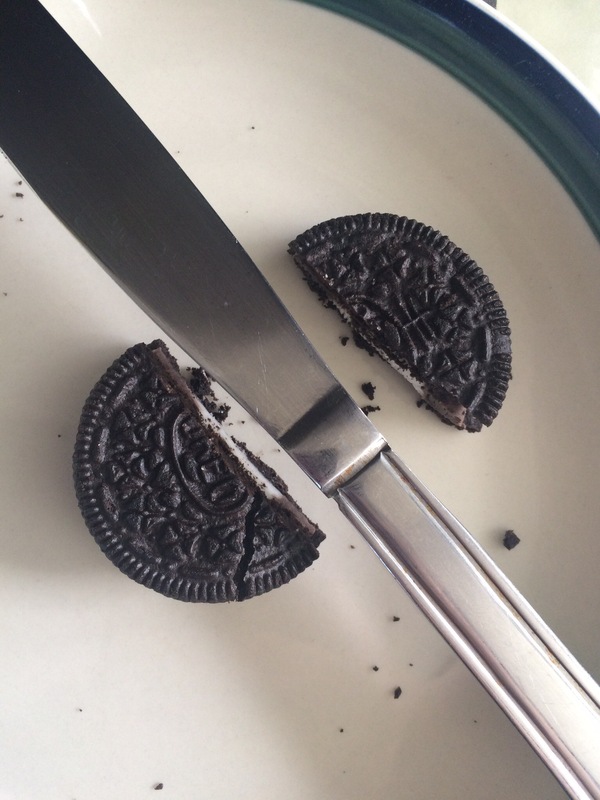 Being on prep you need to be creative with your ,even if you follow flexible dieting because it can’t be all Oreos and ice cream all the time. 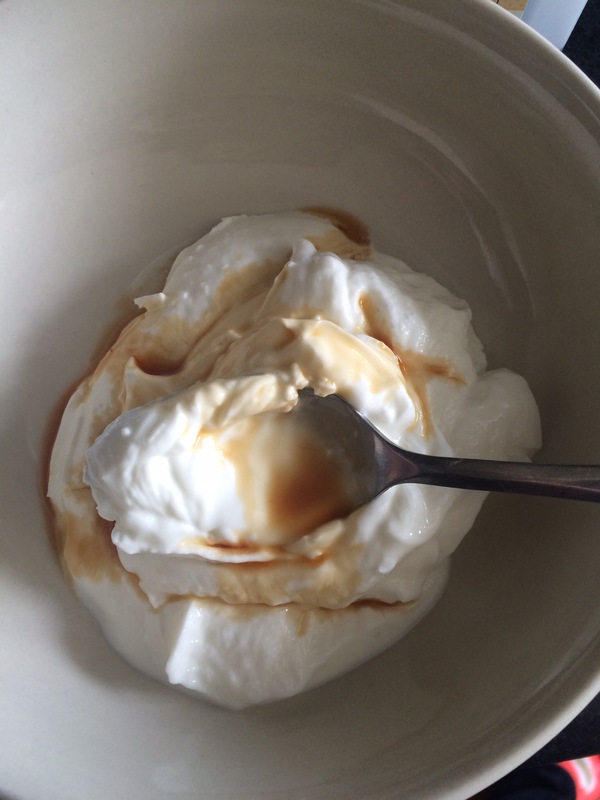 I eat a lot of yogurt, specifically Greek yogurt, even outside of prep because it’s a great source of protein and it’s one of the few dairy products that agrees with my stomach. It’s also flexible enough and can work as a dessert. In college, I developed a sensitivity to dairy – I was tested and it wasn’t a full blown intolerance, but I’ve identified things that make my stomach very upset such as soft serve ice cream, milk and cheesecake. The last one kills me because if you’ve ever been to Cheesecake Factory you know that those are so hard to resist. There are so many possibilities of flavors and styles and now I miss out, but not quite. 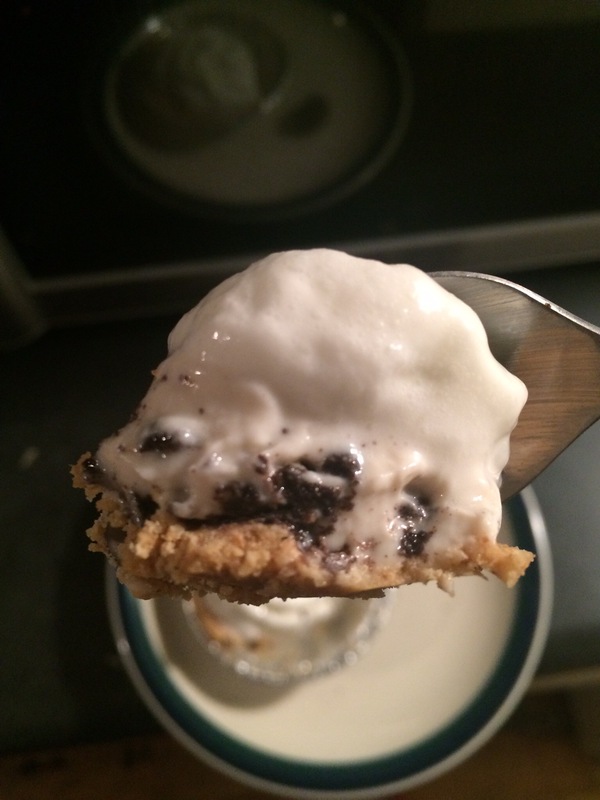 A lot of people make protein yogurt or a protein pudding because it has a taste and texture like dessert. This is something I do often and depending on my macros I’ll add granola or fruit to it to round it out and make it more filling. 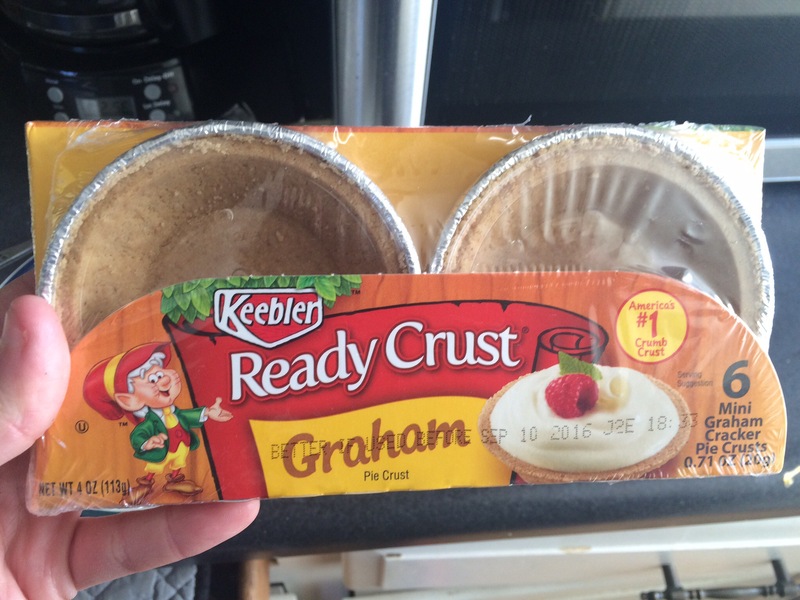 A few weeks ago, I found mini graham cracker pie crusts at the store and I thought it would be interesting to see how a pro-yo pie would be. 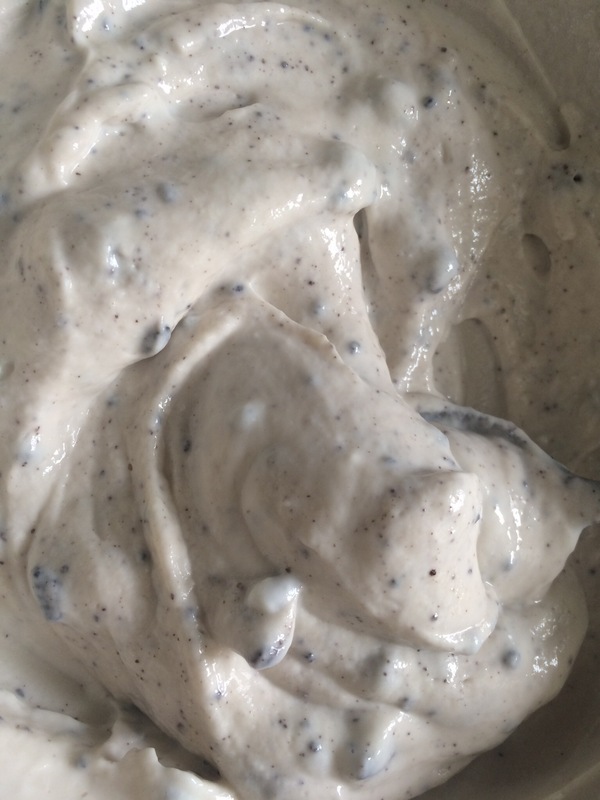 My favorite pro-yo to make has cinnamon swirl whey in it and when made with a few other ingredients, it tastes just like cheesecake. 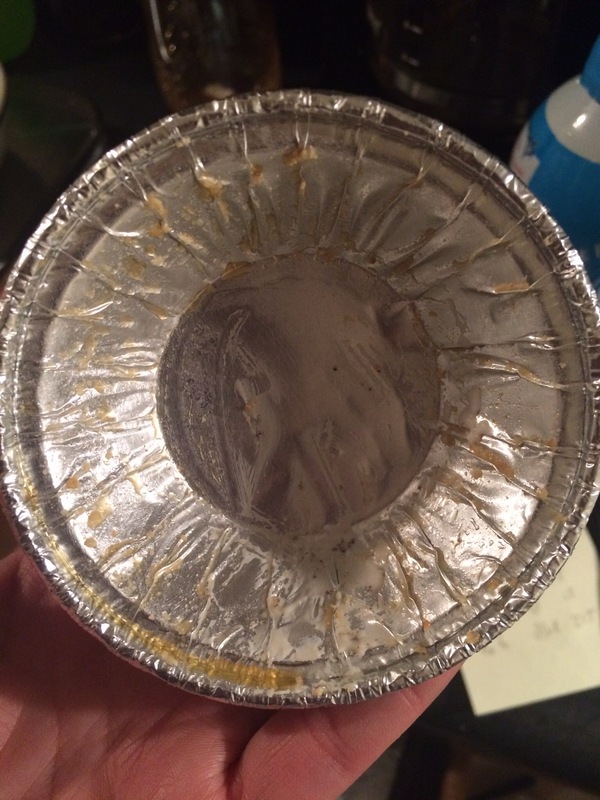 In a bowl, scoop your yogurt out of the container. 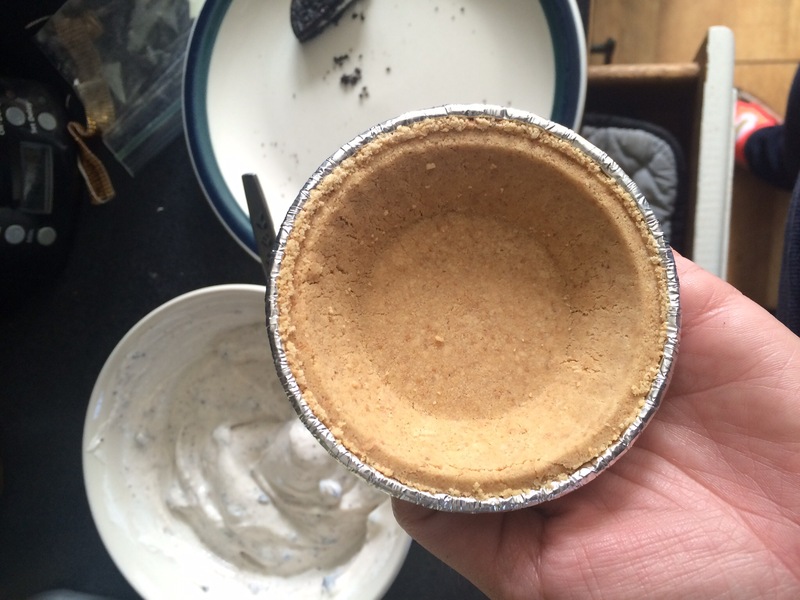 I buy the individual yogurt cups when I make this so it’s easy to measure. I also use fat free yogurt, but you can also use 2% if you need the fat macros. 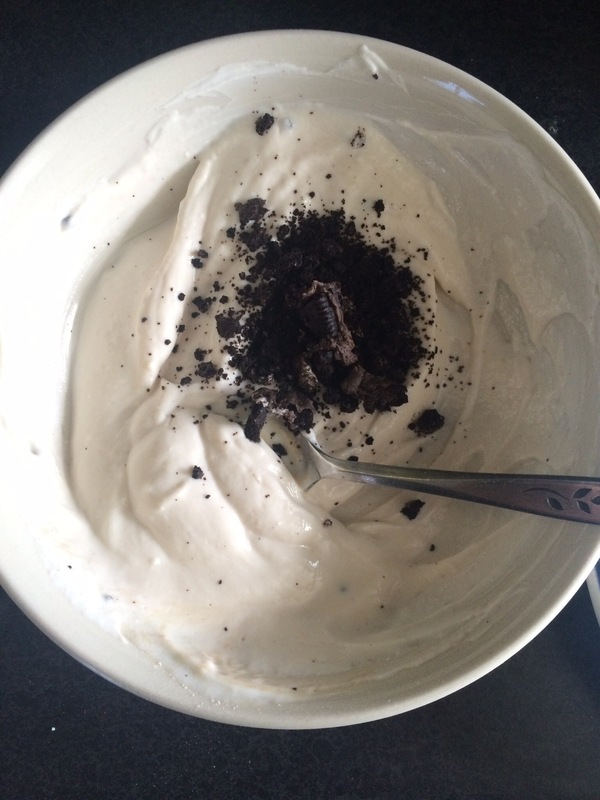 Add 3 tablespoons of water to the yogurt and mix slowly. This will thin it out and make it easier to add the whey later. 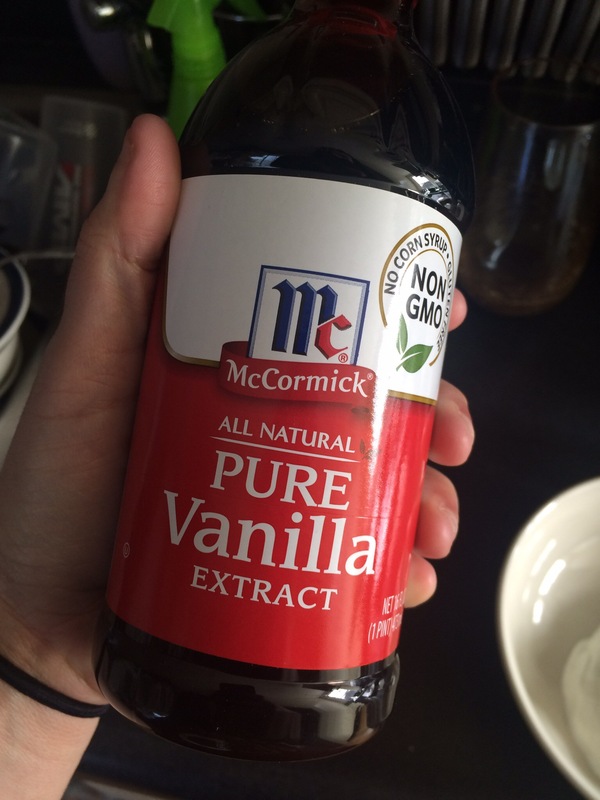 Once the yogurt and water are mixed out completely, add a teaspoon or two of vanilla extra. This is more to your own taste. You don’t need a lot, but I like a little more vanilla than most. Add in whey. This is completely up to you on the flavor and the amount. 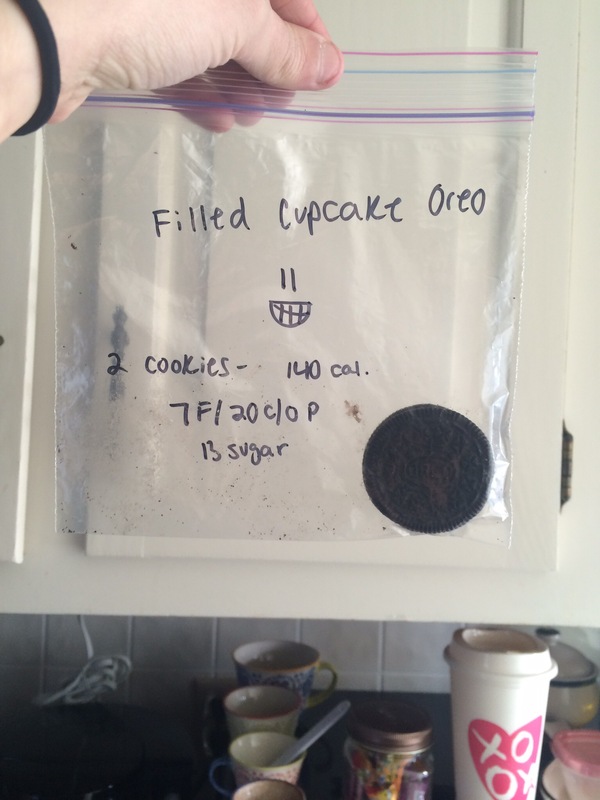 When I made this a few weeks ago I used 7g of chocolate chip cookie dough whey because it was the last of the container – I added a little more vanilla. Tonight when I made this recipe, I used half a scoop of cinnamon swirl. So if you want more protein then add a little more whey, but remember to add a little more water because it’ll be really thick otherwise. 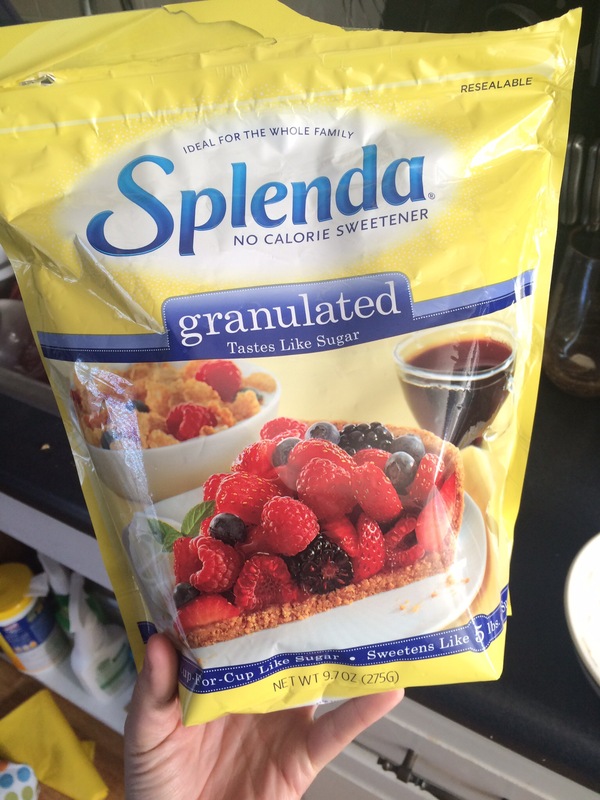 This is the part I usually taste the mixture and decide if and how much Splenda I need to add. Half to one teaspoon is usually enough. 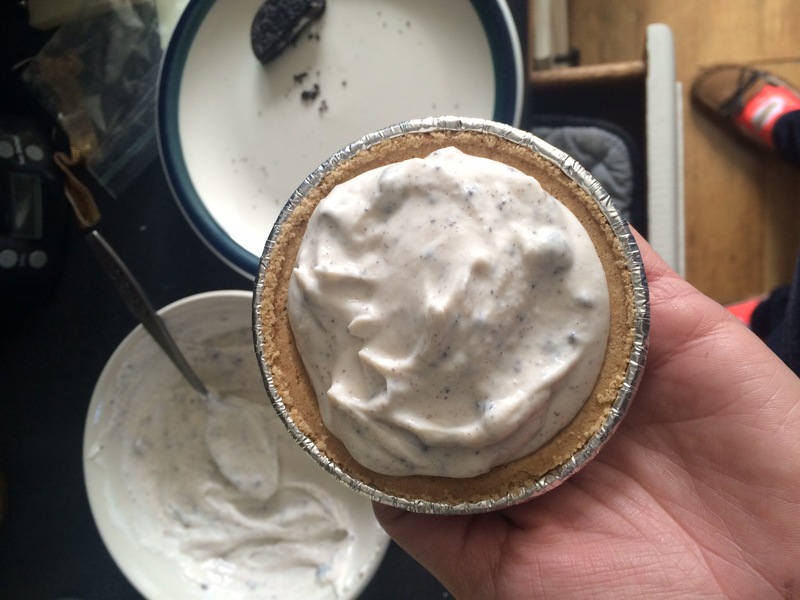 You can either choose to mix in other things like sprinkles or a crushed up Oreo if you want to, but if you don’t, just scoop some of the mix into the pie crust. Not all of the mixture will fit, but that’s why you have a spoon. Set in the fridge for about 30 minutes to an hour. I usually make this the afternoon I know I want it for dessert. The macros for the basic recipe are: 5.3F/20.5C/28.5. 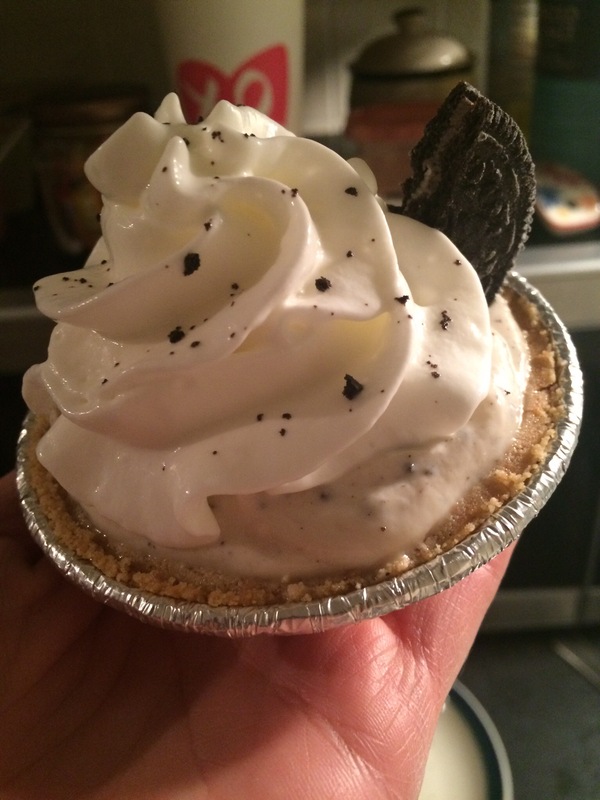 Below are some photos of a variation I made adding in half an Oreo and using the other half as a decoration.